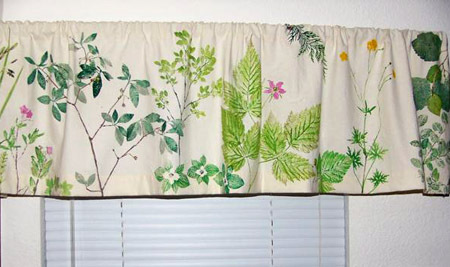 These are nature prints of New Zealand ferns on napkins, collections of plants on valences, and flowers or leaves on children's clothing. 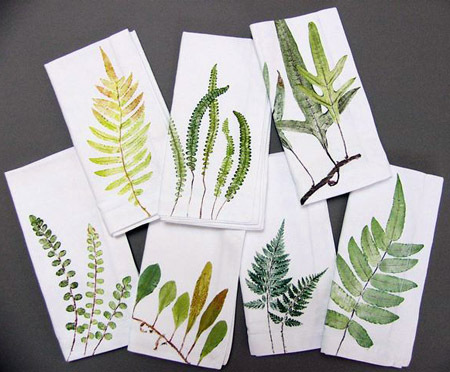 When we went to New Zealand to attend a nature printing workshop, I printed some of the many, many New Zealand ferns on a set of white napkins. I printed a window valence with plants found around Nags Head, North Carolina, during the NPS workshop there. 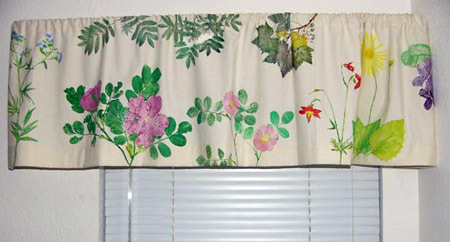 We took a walk in the woods near Sitka, AK, and I printed some of the native plants I found there on this window valence. 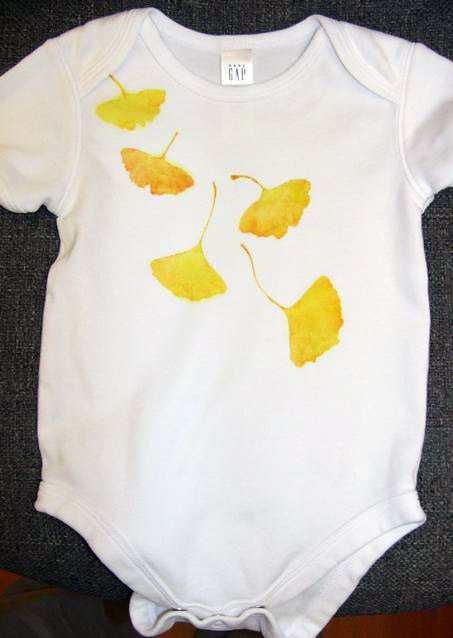 I bought onesies at GAP and printed ginkgo leaves on one for a baby gift. 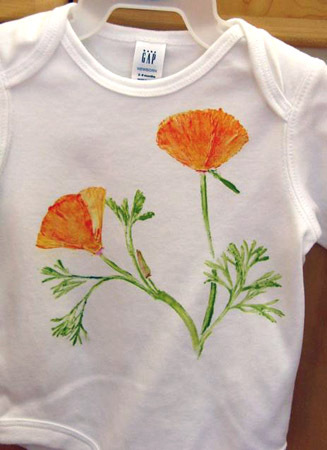 This is a California Poppy printed on a onesie. 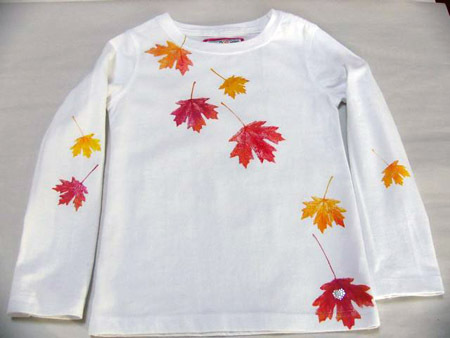 I printed autumn leaves of a Western Sugar Maple from the UC Davis Arboretum on a GAP shirt that came with a little sparkly heart on it. 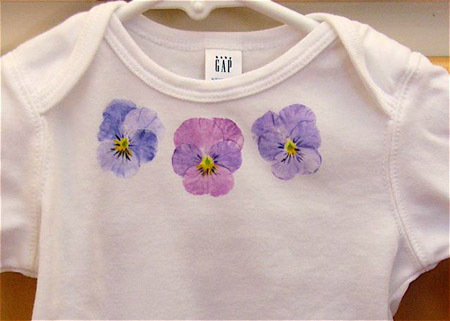 Pansies are rewarding to print on little shirts. They have such pretty colors and a flat “face” so it’s relatively easy. 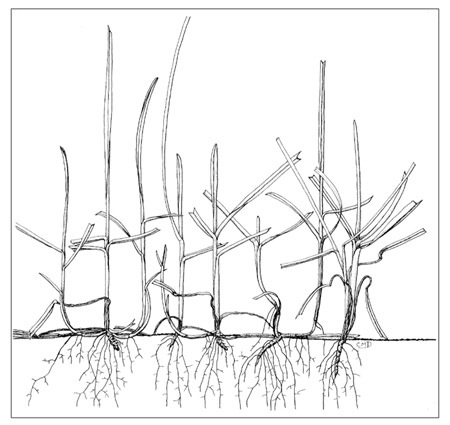 Illustrations of turf grasses were made for an Integrated Pest Management program website in 2002. 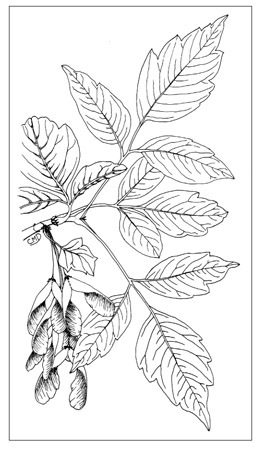 The site includes an illustrated key to help interested people identify the grasses in their lawns. 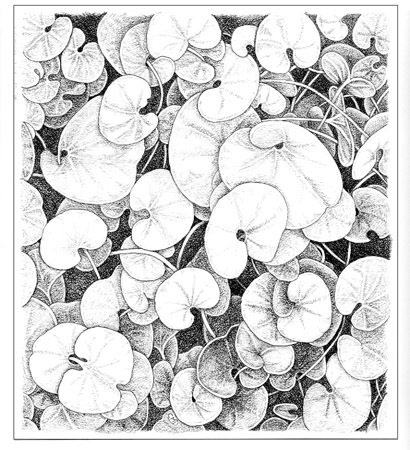 Dichondra can be used as a type of “lawn” though it isn’t a kind of grass. 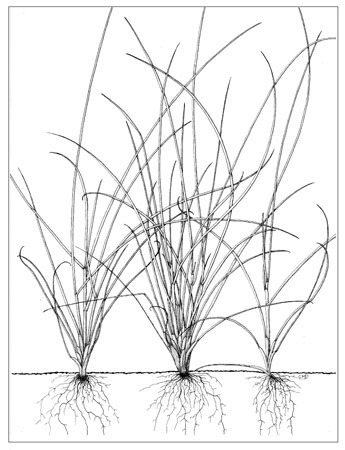 This is Hard Fescue, which is often left to grow naturally in clumps instead of being mowed. The leaf blades are stiff. This is Kentucky Bluegrass, a popular lawn grass. 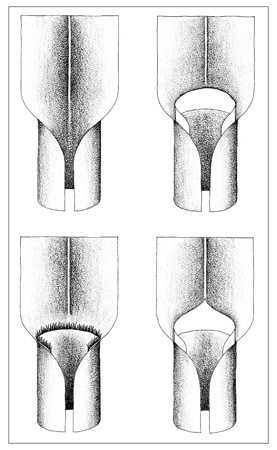 One way to identify different grasses is to look at the ligule, found where the leaf blade separates from the stalk. The ligule may look like one of these. 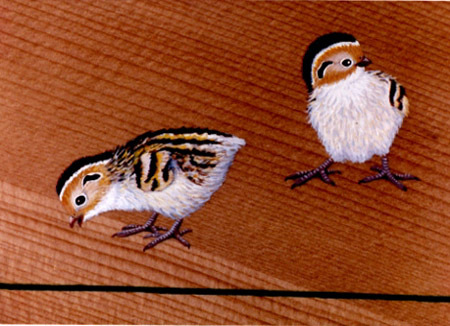 These are illustrations of California flora and fauna painted with acrylics directly on a Sitka spruce harpsichord soundboard for a client in 1991. 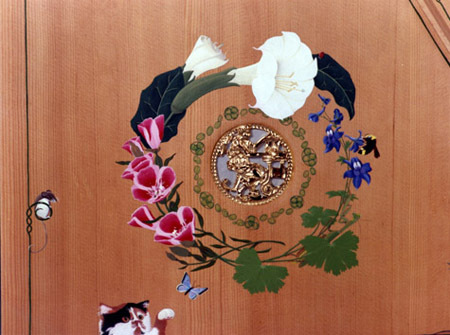 The “rose” is surrounded by the four plants the client studied, Clarkia, Datura, Larkspur and yeast, joined by insects, a bee, a mouse, and Veronica the cat. Coast Redwood sprig with cones and Redwood Sorrel with a Banana Slug. 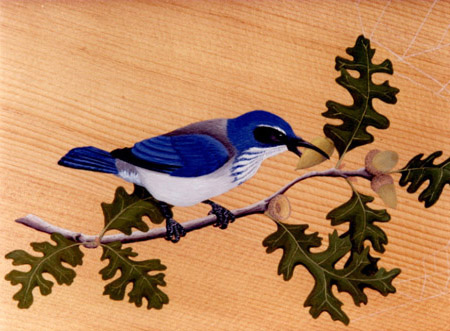 Scrub Jay sitting on a Valley Oak tree and holding one of its acorns. 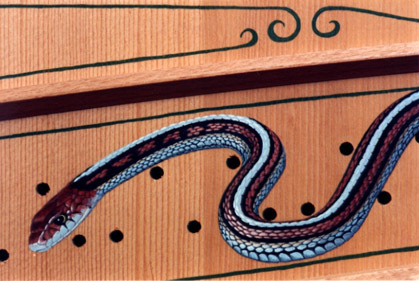 Endangered San Francisco Garter Snake curled around holes which would hold the tuning pins when the harpsichord was finished. 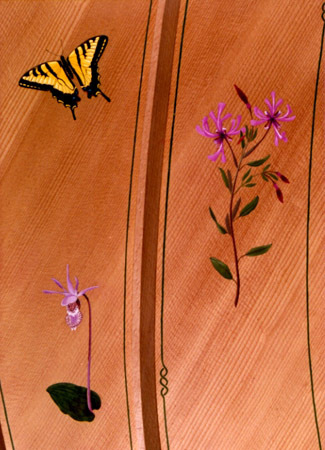 Western Swallowtail butterfly, Red Ribbons (Clarkia concinna), and Calypso orchid. 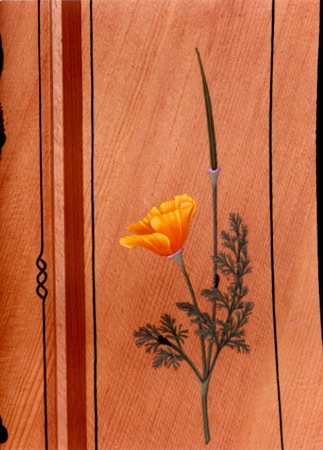 California Poppy with ladybug larvae on it. 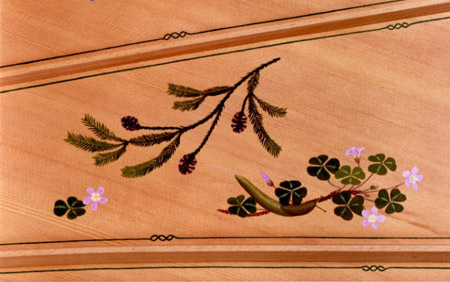 This is the whole harpsichord soundboard. 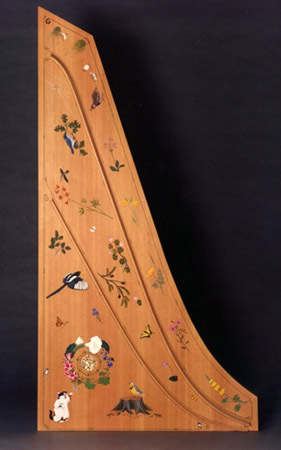 It was divided into three sections by raised pieces of wood which would position the strings when the harpsichord was finished. 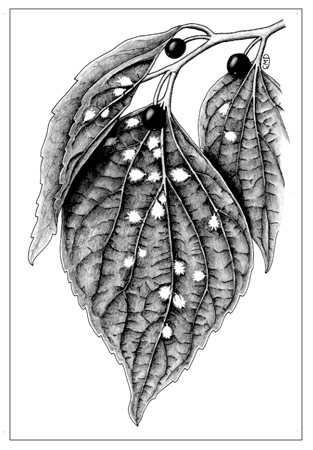 These are pen and ink illustrations for the University of California's Integrated Pest Management program's Pest Notes publications on various plant diseases and pests of interest to the public. This is a sprig of Box Elder with a cluster of winged fruit. The little white fuzzy blobs are Hackberry Wooly Aphids on Hackberry tree leaves. 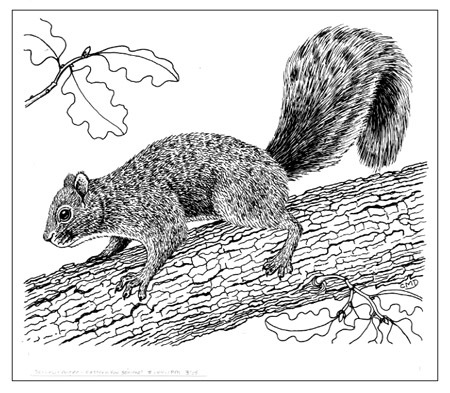 Eastern Fox Squirrels can be pests in California orchards, though this one was fun to watch and photograph in a park in Oakland. 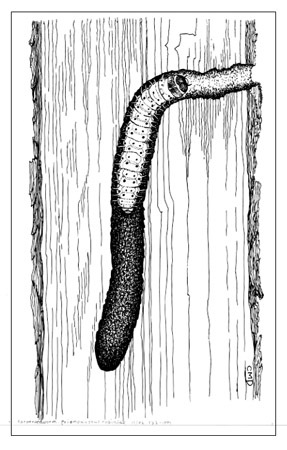 This is a Carpenterworm that has tunneled into a tree trunk. Dewees Nature Designs. All contents copyright © 2008 Chris and Christy Dewees. All rights reserved.